Jayme Closs, the 13-year-old Wisconsin girl who had been missing since her parents were found fatally shot in October, has been found alive. And officials say she immediately helped law enforcement arrest her alleged captor. Jake Thomas Patterson, 21, was taken into custody just minutes after Jayme was found at 4:43 p.m. local time Thursday. "In cases like this we often need a big break," FBI Special Agent in Charge Justin Tolomeo said a news conference Friday morning in Wisconsin's Barron County. "And it was Jayme herself who gave us that break." Jake Thomas Patterson, 21, of Gordon, Wis., is being held on suspicion of kidnapping and homicide. Jayme disappeared on Oct. 15, the day her parents, James Closs, 56, and Denise Closs, 46, were found shot to death at the family's home near Barron, Wis., a town about 75 miles northeast of Minneapolis. Authorities said Jayme had been home when her parents were killed, that she was not a suspect and that they believed she was in danger. For 88 days, investigators searched for clues that could lead them to her. Then, on Thursday afternoon, a girl who looked skinny and dirty and who was wearing shoes too big for her approached Jeanne Nutter, who was out walking her golden retriever in Gordon, Wis., about 60 miles north of the Closs home. "She said, 'Please help me. I don't know where I am. I'm lost,' " Nutter told Wisconsin Public Radio. She says she recognized Jayme, having seen her photo on the news and posters around Wisconsin. 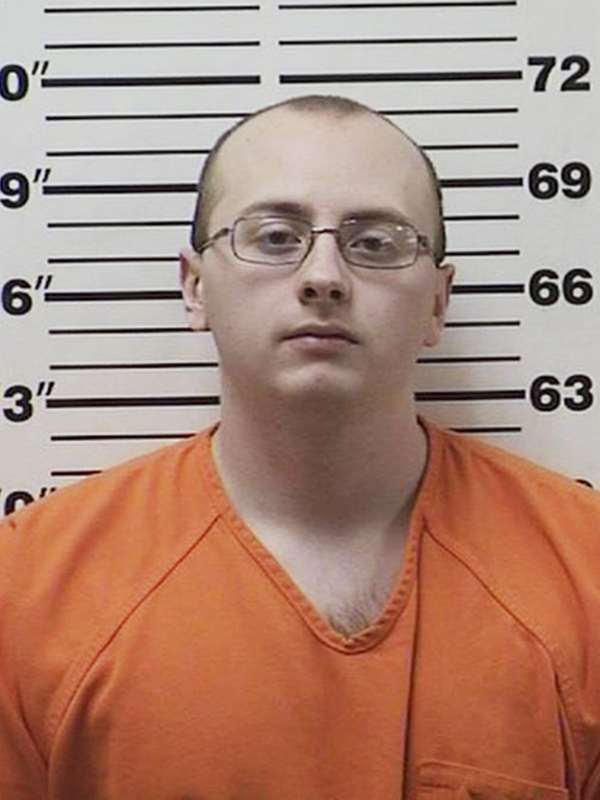 The girl confirmed she was indeed Jayme Closs. Nutter asked Jayme what sort of car the person who took her was driving, in case they needed to run. They walked to the nearby house of Peter and Kristin Kasinskas, where they wrapped her in a blanket and called 911. The girl said she had been abducted and had escaped from a house where she had been left alone, Peter Kasinskas told the NPR member station. Jayme said the suspect "killed my parents and took me," Kristin Kasinskas told The Associated Press. Deputies arrived at the Kasinskas' home and took a description of the captor's vehicle. A short time later, a patrol sergeant found a vehicle matching that description, pulled it over and took the suspect into custody. "Jayme was taken against her will and escaped from a residence at which she was being held, and found help," Barron County Sheriff Chris Fitzgerald said. "I can tell you that the subject planned his actions and took many proactive steps to hide his identity from law enforcement and the general public." Patterson is being held in the Barron County jail on suspicion of kidnapping and homicide in the killing of Jayme's parents. Fitzgerald said that investigation remains "very fluid and active" and authorities are conducting numerous interviews. Since Jayme's disappearance nearly three months ago, scores of people in Wisconsin and Minnesota helped authorities look for her. An initial ground search yielded no clues, but a second search by more than 2,000 people turned up several items of interest to investigators, the AP reports. In December, hundreds of people gathered in Barron for a tree-lighting ceremony in hopes of Jayme's safe return. Jayme spent Thursday night in an area hospital for observation, according to the sheriff in Douglas County, where the girl was found. "I'm going to hug her. Squeeze her," her grandfather Robert Naiberg told the Star-Tribune. "I've been in the dumpster for three months." "We are just happy everyone kept praying and didn't give up hope, like we didn't," Jennifer Smith, her aunt and godmother, told ABC News on Thursday evening. "A lot of happy tears in this house tonight."